We're blogging again after a quiet pre-election period. We posted in February listing some of the services we were expecting to start using GOV.UK Verify before August 2015. This post provides an update on our plans. I wanted to ask why you are expecting such low numbers with universal tax credits? Do you think most of the users will be self assessment like myself? The universal credit digital account is being initially offered to a small number of users as a trial so the team can learn and improve the journey before making it available more widely. As well as showing the number of users expected in the first six months we also show the eventual population of users for this service, which in this case is 10 million. Thank you Jess, what is the current estimate for this to be rolled out to all Universal Credit users? Before or after March 2016? When can I use GOV.UK Verify to claim Marriage Allowance? Are there plans to expand this to local government? Are you planning on using more UK based companies to assist with the roll out of GOV.UK Verify, as I would imagine that as the numbers all together for users are so high you would want to prevent any major outage across all areas? How do UK tech companies look at getting involved with the process. 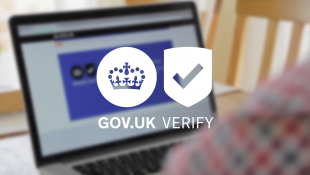 GOV.UK Verify is the new way to prove who you are online in order to safely government services like filing your tax or checking the information on your driving licence. At this stage we're prioritising building a scaling a service that works for users of central government services so, no, you wouldn't be able to use GOV.UK Verify for your teaching agency.